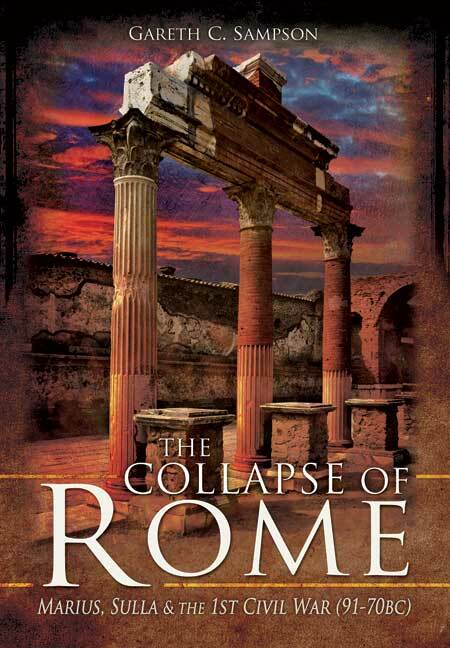 You'll be £4.99 closer to your next £10.00 credit when you purchase The Collapse of Rome. What's this? By the early first century BC, the Roman Republic had already carved itself a massive empire and was easily the most powerful state in the Mediterranean. Roman armies had marched victoriously over enemies far and wide, but the Roman heartland was soon to feel the tramp of armies on campaign as the Republic was convulsed by civil war and rival warlords vied for supremacy, sounding the first death knell of the Republican system. At the centre of the conflict was the rivalry between Marius, victor of the Jugurthine and Northern wars, and his former subordinate, Sulla. But, as Gareth Sampson points out in this new analysis, the situation was much more complex than the traditional view portrays it and the scope of the First Civil War both wider and longer. This narrative and analysis of a critical and bloody period in Roman history will make an ideal sequel to the author's Crisis of Rome (and a prequel to his first book, The Defeat of Rome). The author has provided a very readable insight into a period of Roman history that is very important but a mystery to most people. He has included photo plates, sketches and maps that very effectively support the text. The only feeling by the end of this book, and its very helpful end notes, is that it will then be necessary to reconsider any impressions formed before reading the book. This is a very readable insight into a period of Roman history that is very important but a mystery to most people. He has included photo plates, sketches and maps that very effectively support the text. The only feeling by the end of this book, and its very helpful end notes, is that it will then be necessary to reconsider any impressions formed before reading the book. Dr Gareth Sampson has a PhD in Ancient History from Manchester University where he taught for a number of years. His first book was Defeat of Rome (Pen & Sword, 2008). He lives in Plymouth.